Award-winning standalone thriller from master of psychological suspense Brian Freeman about a small town rocked by the murder of a teenage girl. On a March night outside the river town of Barron, Minnesota, three teenage girls gather in a ghost town to play a terrifying game of Russian roulette. By morning, one girl will be dead, and another in jail. Olivia Hawk claims she didn't pull the trigger on Ashlynn Steele, but no one believes her. Olivia's best hope is her estranged father, an attorney from the city, who she barely knows anymore. And if he's going to prove Olivia's innocence, he's going to have to learn everything about her public--and private--life, however much she might like to keep hidden. 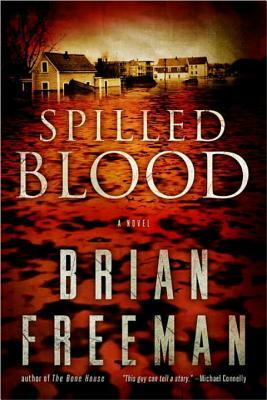 Brian Freeman is an internationally bestselling author of psychological suspense novels, including his franchise Jonathan Stride series about the exploits of the stoic Duluth PD detective. His books have been sold in 46 countries and 20 languages. "Freeman proves once again he's a master of psychological suspense."